Meet us inside and outside the Union Concourse for Harvest Fest! Students, Faculty, and our community will be able to enjoy browsing and shopping at our Farmers market of local fresh produce, and our indoor Artist Fair where artists and artisans will be selling their crafts. 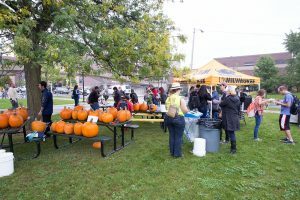 Grab a bite to eat of some seasonal treats, provided by the UWM Office of Sustainability. Buy a slice of delicious pie and enjoy it knowing that all proceeds from the pie sale will be going to Children’s Hospital of Wisconsin! Participate in a free pumpkin carving or pumpkin painting! Everything you need to celebrate the Harvest Season! Looking for a gift for the holiday, but want to give a gift that has been created sustainably and in support of world wide artisans? 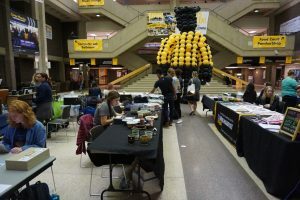 Come to UWM’s annual Holiday Fair Trade Market on December 6th in the Union Concourse. 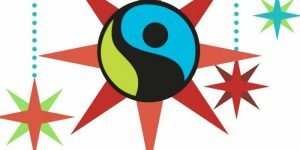 Several local fair trade vendors and educators will be present so you will be able to learn more about Fair Trade and get in some holiday shopping. The Artist Fair and Farmer’s market features locally grown food and locally handmade goods. The Holiday Fair Trade market features only fair trade goods from around the world. Purchasing these goods helps support artisans and sustainability efforts globally.